Introducing the brand new Table Tidy from Tonic Studios. 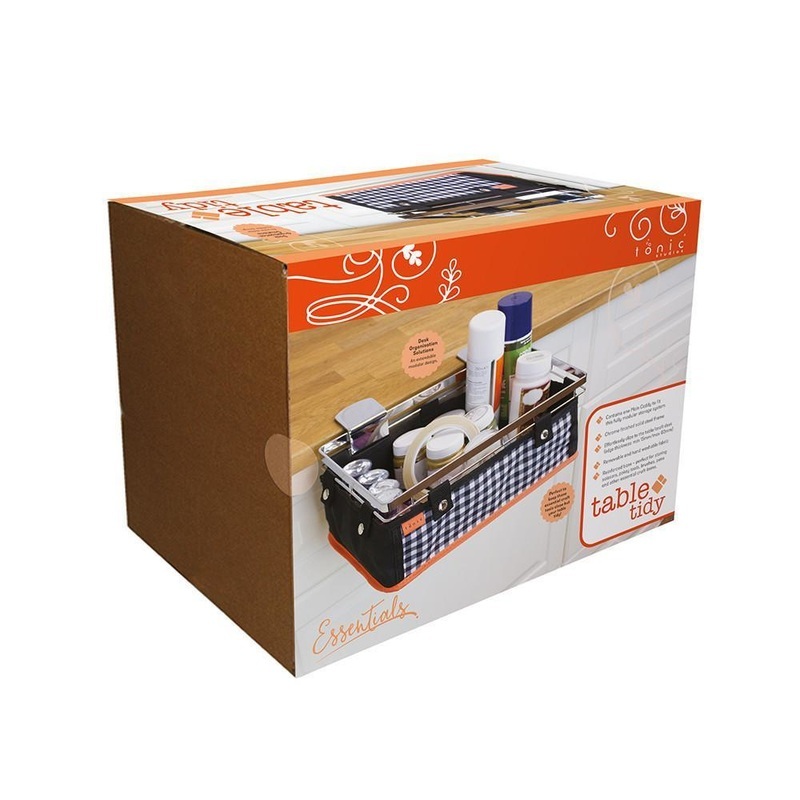 The perfect storage solution for organising cluttered craft rooms! This fabulous modular system allows you to add double and single pockets to expand as required. The frame features a chrome finished solid steel frame and effortlessly clips to the table/craft desk (edge thickness: min 15mm/max 60mm). It features removable and hand washable fabric and a reinforced base. Runner-up of Creative World's Creative Tool of the Year 2017. -Fits design thickness of 15-60mm.